Parents! What’s the matter with parents today? 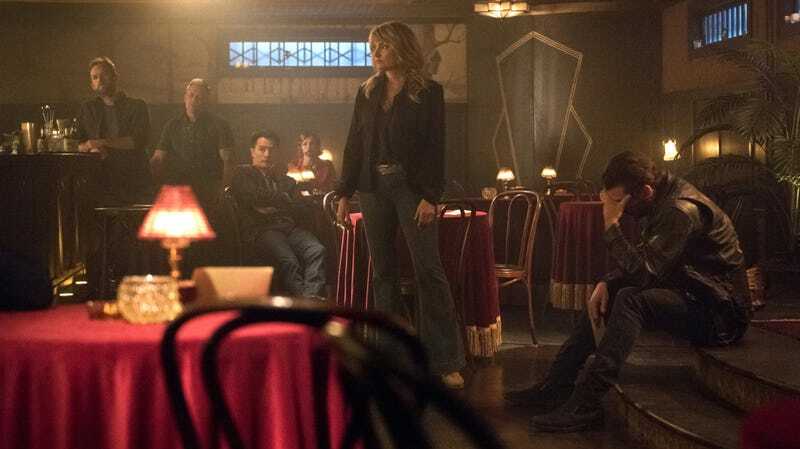 When they’re not busy handcuffing their kids to a fridge, or shipping them off to the Sisters Of Quiet Mercy, the moms and dads of Riverdale seem to be up to some pretty shady stuff lately. In this week’s Dial M For Maple, hosts Marah and Cameron recap “Manhunter,” which throws out a few hints that the original “Midnight Club” knows more than they’re letting on. Could one of them be The Gargoyle King? We work out some new theories, plus we pay our respects to Dr. Curdle, Jr. and finally learn how Dungeons & Dragons works.